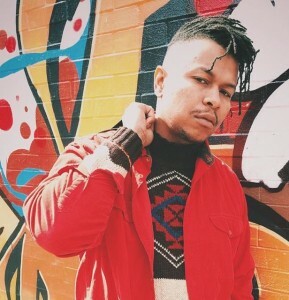 Chicago producer Bryan Ford is a one man band. He plays drums, bass, keys, and guitar on his various compositions. Ford’s forte is electronic music but he’s now ventured into the world of Hip-Hop. Hoping to push the boundaries of what Hip-Hop sounds like Ford released the album, For the Future of Hip-Hop. The album is produced entirely by Bryan Ford with Wu-Tang Clan affiliate Killah Priest and Chicago Hip-Hop stalwarts Awdazcate and Pugs Atomz handling the vocals. Pugs Atomz chatted with The Real Hip-Hop about how he linked up with Bryan Ford, working with Killah Priest, the internet’s impact on rap music, and the new album, For the Future of Hip-Hop. TRHH: How did you get involved with Bryan Ford? TRHH: At that stage was an album in the works or were you guys just vibing together? Pugs Atomz: Him and Bryan already had a relationship and had recorded a few songs. I was new in the mix but when I kicked my verse to that record Priest was like, “Wow, okay, you got some bars.” From there we started making music pretty much every week. Right now we probably have about 20 songs. TRHH: What was the process like recording the album? Pugs Atomz: For the most part you just kind of go to Bryan’s studio and kick back. He plays a couple beats and something will hit you. I’m a pretty quick writer and I freestyle a lot as well so I’ll just jump on the mic and spit what I have. Priest will be with a pen and a pad just killin’ every time he would set up a song. It would go back and forth like that. TRHH: At this stage of your career do you prefer rocking over live instruments than rhyming over traditional Hip-Hop beats? Pugs Atomz: I’m from the golden era. I started rapping back in the 90s so the DJ always holds a big piece of what I feel traditional Hip-Hop is. I think at this point since everybody raps, good and bad, you need more musicianship in your show to really stand out more so and not make it seem like anybody can do this. Bryan has a background in house music, dance music, as well as rock. A lot of times I’ll listen to his beats and it’s like I’m digging in a record store. It’s like, “If I hear The Funky Drummer on this it would be cold.” He would just pull up that stuff from his memory. He plays tons of instruments and he’s been playing for years. TRHH: You mentioned how everybody raps these days, what do you think started the idea that everybody can do this? Pugs Atomz: The internet for the most part, people being able to have studios in their crib, and the decline of vinyl is another big thing. People are buying more vinyl now but when I first started out if you had vinyl that meant you were serious. Now you just gotta have an mp3, a viral video, or some blog to post you and you’re rolling already. It’s not like a lot of heads have to say that you’re the man. You can automatically jump and say you’re the best ever. If they get the right people to see it on the blogs or they look crazy or something, they can take off. It’s kind of wild like that. If you notice a lot of times some of the people that get a crazy spotlight weren’t prepared. They were just messing around then they realized the world was watching. I do a lot of video shooting and editing. It could be somebody I’m doing a favor for and somebody will look at my channel and assume that this person has been at it forever and ready to kill it, but this is just their first time out and they’re just testing the water. TRHH: You take the good with the bad with technology I guess. TRHH: Why is the album titled For the Future of Hip-Hop? Pugs Atomz: For the most part Killah is always on some next-level lyricism type thing and Bryan is pulling from all these different genres to make the beats. Also in the sense of he’s sampling himself. When I say he plays instruments it’s not in the traditional band sense of it. If he needs some drums he plays the drums and chops up his drums. He needs a horn player, they come in and play some stuff and he cuts that up as well. He takes it to the next level of it still being musical and about the roots of sampling, but also pushing to a new sound. We had a listening session with industry cats and some respected emcees. To have the full band on stage and all of us on the bars, it was a different look. TRHH: What’s your favorite song on the album? Pugs Atomz: Right now probably Fifth Floor. That beat is crazy. It’s real menacing and the way the hook drives it really pulls you in. Also what I’m writing about is like the old school loft parties from here where most people would get their bread and also get their name up. I used to throw parties and Bryan had his own space to throw parties as well. I didn’t even know that until after I recorded the record and I was like, “Whoa!” He was in it, just on a different side. TRHH: What was it like working with a cat like Killah Priest? Pugs Atomz: It was definitely one of those notches on your belt. It was like, “Fair enough, I’m here.” I didn’t even really know it was gonna happen like that. I was just coming for practice and they started a record and let me hear the beat. I had something for it and he was vibing with it. The first time I heard his “Basic Instructions Before Leaving Earth” that was like a moment because a lot of my guys here were Five Percenters, New Tabernacle and all of that. It resonated with me. To get a chance to spit in that realm was refreshing and took me back to my beginning. TRHH: Who would you say For the Future of Hip-Hop is suited for? Pugs Atomz: From what I’ve seen at the shows it’s more so for people who like music, man. We played a Bernie Sanders fundraiser party and it was definitely not like a B-Boy occasion, if you get me. But they felt the same way as if we were rocking for a bunch of heads. TRHH: What next up for Pugs Atomz? Pugs Atomz: I’m the Creative Director for Iridium Clothing so I’ve got a bunch of new summer stuff coming out. I flew to Memphis to paint a mural that’s talking about the whole history of music there. We have the new single “Just Me and My Girl” with Bryan Ford and my homie Awdazcate. I’ve got an album on BBE coming out in September, and I’ve got a bunch of videos coming out in the next few months. Sherron Shabazz is a freelance writer with an intense passion for Hip-Hop culture. Sherron is your quintessential Hip-Hop snob, seeking to advance the future of the culture while fondly remembering its past. This entry was posted in interview and tagged Awdazcate, Bryan Ford, Chicago, For the Future of Hip-Hop, Illinois, interview, Killah Priest, Pugs Atomz. Bookmark the permalink.